Hello, ninjaDIYers and Construction PROS! 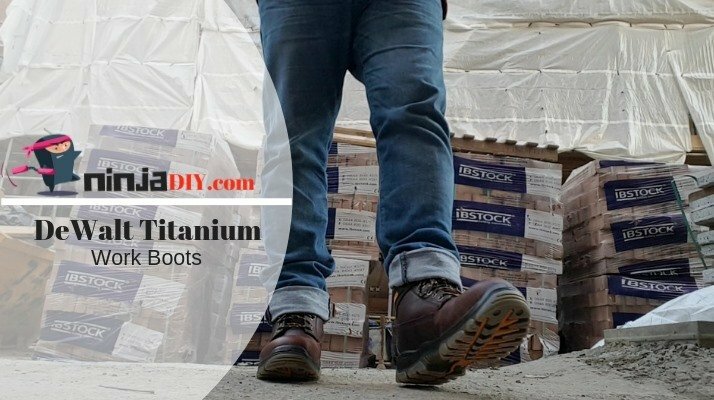 In today’s’ article, DeWalt Titanium boots review, we’re gonna talk about a great boot that pleases many people! And we’re gonna find out why! 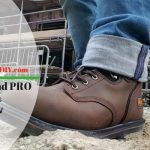 If you’re looking for a new steel toe work boot for DIY or for your construction related job, let me take you through what this awesome boot can offer you! This DeWalt Titanium boot it’s not only going to keep your feet safe from penetrating objects like nails for example. But it will keep you COMFORTABLE as well. All day long. It’s a high boot and if you have weak ankles, this safety boot is a great option for keeping your ankle safe into a correct position and avoid injuries. An excellent work boot overall with tons of EXTRA features: Waterproof, Anti-Slippery Sole, Leather … and much MORE. Click now below to check availability for your size! And if you’re not in a rush … I’m so happy because you can actually read this whole article that I’ve put together for you! 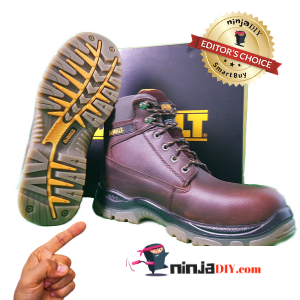 … here I have this Timberland PRO Men’s 6″ Pit Boss Review I’ve done for you, my friend! Please check it out later! Let’s see some more in-depth details, features, specs, and my experience with this steel toe boot. 3.3 Antistatic Footwear? Yes Please !!! 4 Are They Comfortable? Can I Work Long Hour Shifts On These Boots? I was really keen to get my hands on these boots because many colleagues of mine have mentioned to me how happy they are with their boots. Not to mention that on Amazon these boots have over 250 reviews to date and it’s growing. If you click on this link you’ll be redirected to Amazon where you can read for yourself what these people are saying! Once you open the box of your brand new boots, you’ll see these amazing looking safety boots. My first impression is that the construction of these boots is TOP QUALITY! 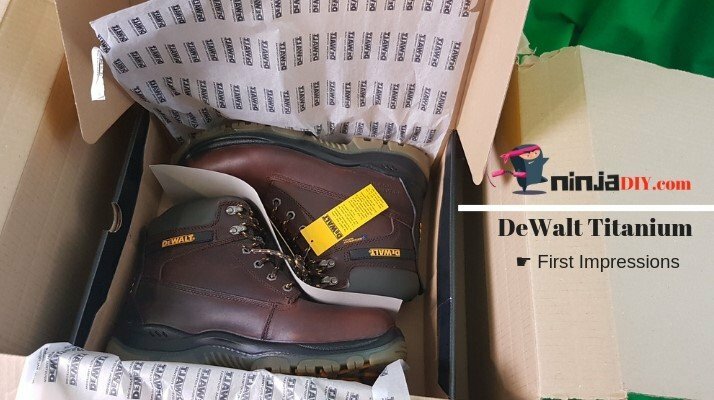 ☟ Here’s a video I put together on my NinjaDIY channel for the unboxing of this DeWalt men’s work footwear. 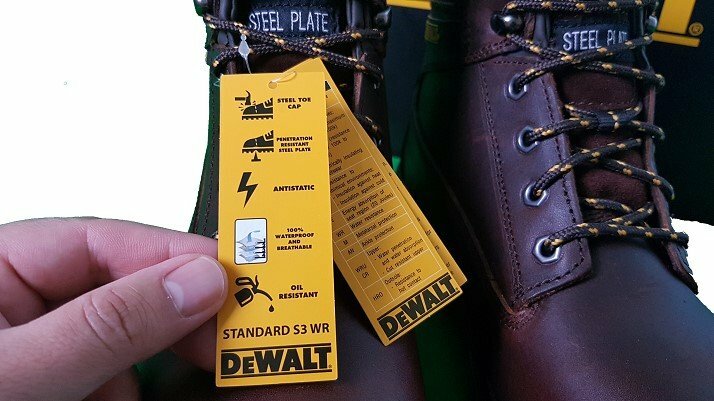 Even though it’s made in China, these guys at DeWalt haven’t compromised on the quality of the materials they’ve used to build this work boot. It seems to be a very rugged boot (UPDATE: and I confirm it really is though after I’ve used for a few months). 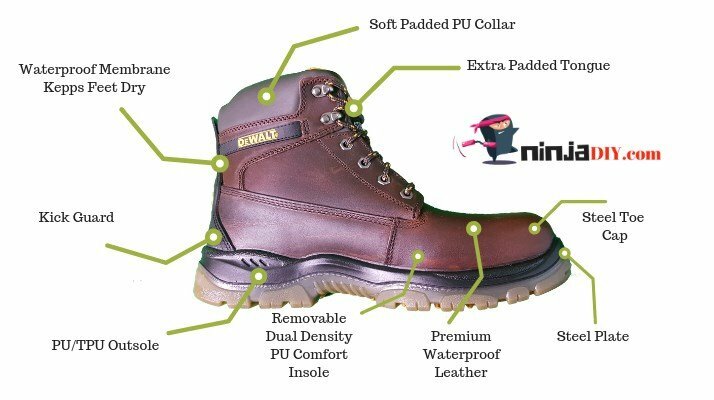 This safety footwear is manufactured using both synthetic and natural materials which conform to the highest international standards to provide you with the best performing and the most quality boots possible. If you work in areas with wet ground, grease or oily surfaces, these boots will have a good grip and will keep you safe from injuries from slipping. The safety toe cap will protect you from falling objects and crushing when you work on a construction site and any industrial or commercial environments. Another great safety feature is the penetration resistance. Two generic types of penetration resistant insert are currently available in this safety boot. Is less affected by the shape by the shape of the sharp object/hazard (like the diameter, geometry, sharpness) but due to shoemaking limitations does not cover the entire lower area of the shoe. Antistatic Footwear? Yes Please !!! You should wear antistatic footwear if it’s necessary to minimize electrostatic build-up by dissipating electrostatic charges, thus avoiding the risk of spark ignition of, for example, flammable substances and vapors. NO!!! That’s not an edited video … that IS REAL life! As well, you should wear these type of boots if there’s a risk of electric shocks from any electrical apparatus or live parts has not been completely finished. It’s so scary, even just by watching at the video, that this could happen to you as well. And yes, this DeWalt Footwear it’s antistatic. Even though this boot has antistatic benefits, you should be careful though. In some occasions or in some environments, this boot will NOT protect you as well, for example, if you work in basements, sewers and similar wet areas … you should proceed with caution when doing electrical jobs for example. 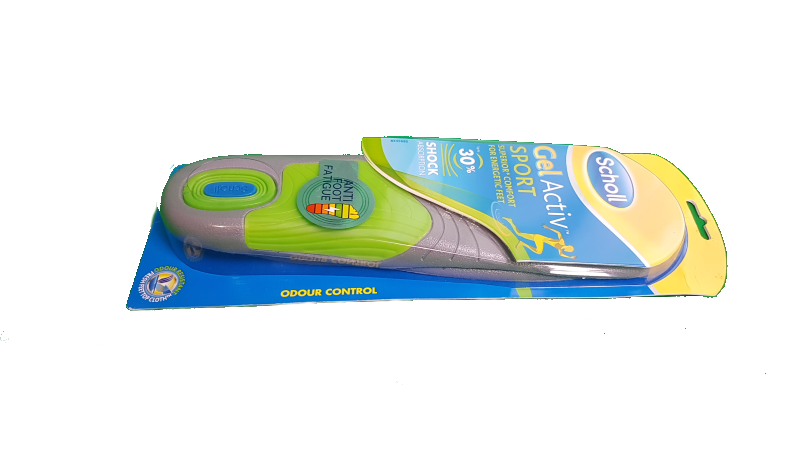 This is the insole that comes with the boot. 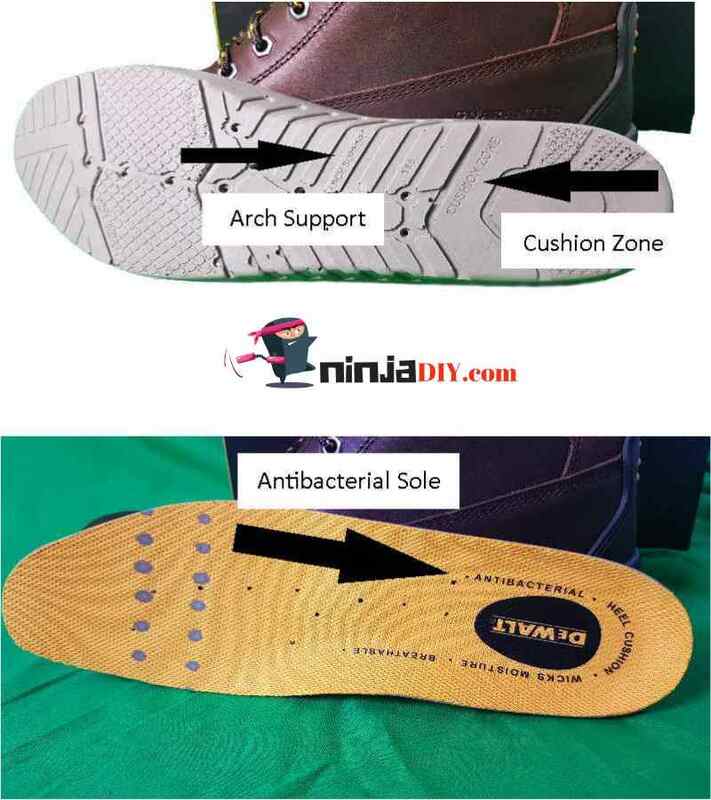 I was pleasantly surprised to see how comfortable this standard insole was. It even comes with arch support and is antibacterial. Since I’ve discovered how great they are helping with absorbing the shocks and reduce muscle fatigue, I keep buying them like every 3-4 months. Are They Comfortable? Can I Work Long Hour Shifts On These Boots? Well, to be honest, they look a little bit big. And if you have never worn high boots before they might be a bit uncomfortable for the first couple of days. Even though the collars are padded they were bruising my legs for the first week or so. The first week I felt very unhappy about that. … these safety boots are very comfortable! Are you a woman in the Construction Industry? If you are a lady in the construction and looking at these safety boots, I have to tell you that it might be a bit heavy at first. But once you get used to the weight … you’re going to love them! After using these boots for a few months now, I can confidently say that they are as comfortable as they say they are. I’m sure you believe me, but you can always check out what other people are saying about these boots on Amazon. Click below to find out the price and availability for your size! As you can see in the picture above, my foot is about 4 inches wide and I’m right on the limit of the toe cap. If you have a wider foot than mine the toe box will create a lot of pain or discomfort. Your toes will have no space to move freely. To ensure the best service and wear from your footwear, it is important the boots are regularly cleaned and treated with a good cream for work boots. 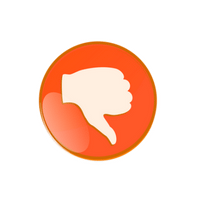 The manufacturer suggests not to use any caustic cleaning agents. If you work a lot in wet conditions, you should, after use, to allow the boots to dry naturally in a cool, dry area and you should not force the drying process as this can cause deterioration of the upper material. Me personally, I don’t have time for this type of maintenance anymore. I’m so busy and when I get home, THE LAST I want to do is to clean my boots. In the past, I use to have two pair of boots. One at home clean and ready to go. And another one at work, full of durt. Every month I would swap them so I can wash the one I was using with the clean one. 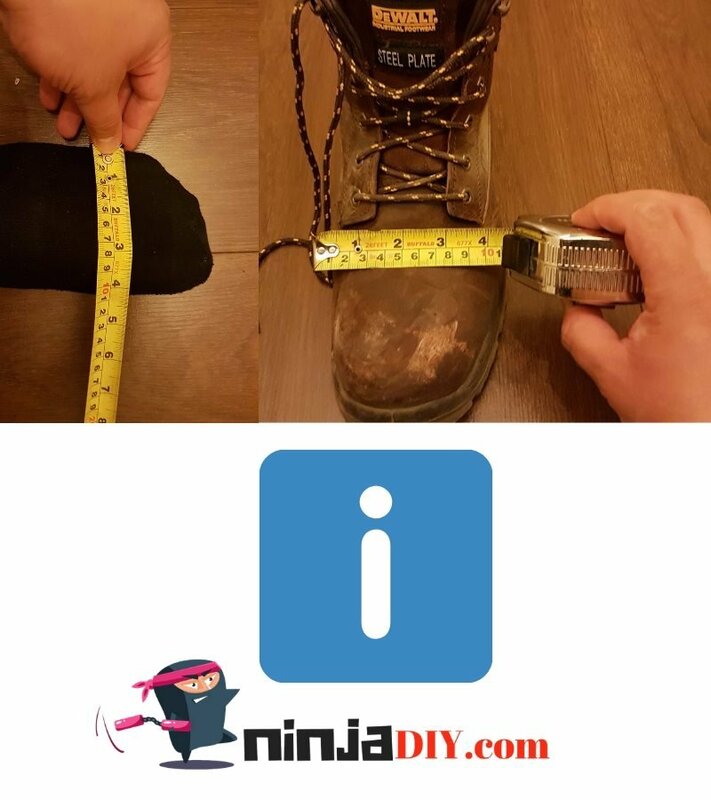 Doing it this way, yes, you can take care of your safety boots. But lately I don’t have time for that either … so I just use a pair of boots until they’re unusable. A bit heavier than the normal safety boot. But it’s really comfy for how heavy duty it is. For me, it needed breaking in. There’s no such thing as THE PERFECT product. And that applies to this DeWalt Titanium work boot as well. There are some complaints about it, but nothing major really. I personally (and hundreds of other PROs) love these boots and I was using them when I wrote this review article (March 2019). This is no brainer! Great features and Top Quality boot. Check it out for yourself if you don’t believe me! 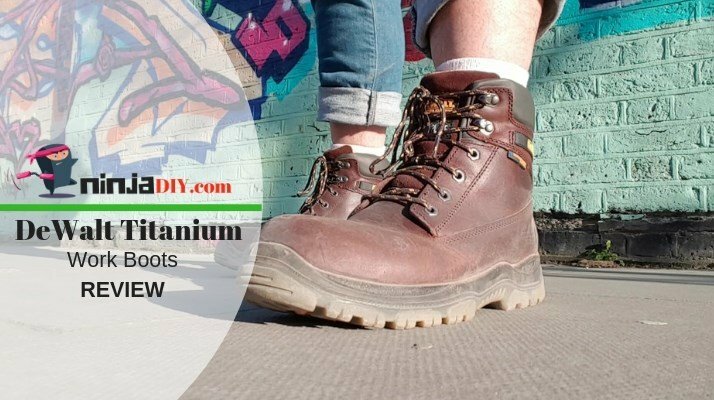 I hope this DeWalt Titanium safety boots review article provided you with some great insights based on my own experience using these boots. And, if you want to buy one for yourself, I think you can make a good decision based on what I’ve shared with you here today. Do you think I’ve missed something? Is there any specific thing you want to know about them? Why don’t you leave me a comment below and I’ll do my best to help you out! Great Stuff! Take Me To Amazon Now! 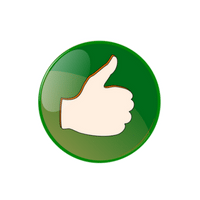 Did you like the article? Was it helpful? I’d appreciate it if you’d give me a 5-star when you have 2 seconds. It helps me keep putting these awesome articles out for you! Cheers!